When we first start out in the world everything is new and exciting and we can’t wait for what the future holds, especially when it comes to our careers. We kind of expect to have a job we look forward to going to making enough money to live rather comfortably. Then the reality of life sets in. What happens when you have no idea what kind of career you want? Or maybe what you thought you wanted to do with your life isn’t as awesome as you thought it would be. Sometimes we have to take jobs we don’t really like just to be able to provide for ourselves until we can find that dream job. Over time our desires, hobbies, and things we enjoy in life obviously change. So, how do you know how to find the best career for your personality if you find yourself unhappy at your job? Remember taking aptitude tests, probably back when you were in school? 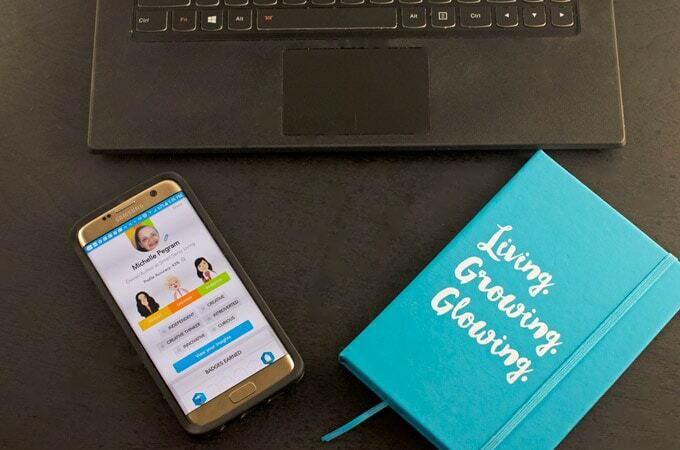 How cool would it be to have an app that had quizzes like that and so much more to help you find the job that fits your lifestyle best? If you agree, you need to go download the Good&Co app! It’s available on Android and iOS or at good.co. 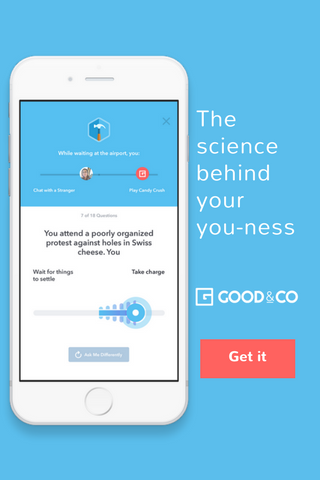 After you’ve downloaded the app and created an account you can take the first free Good&Co quiz. This will unlock your custom Strength Card like you see above. 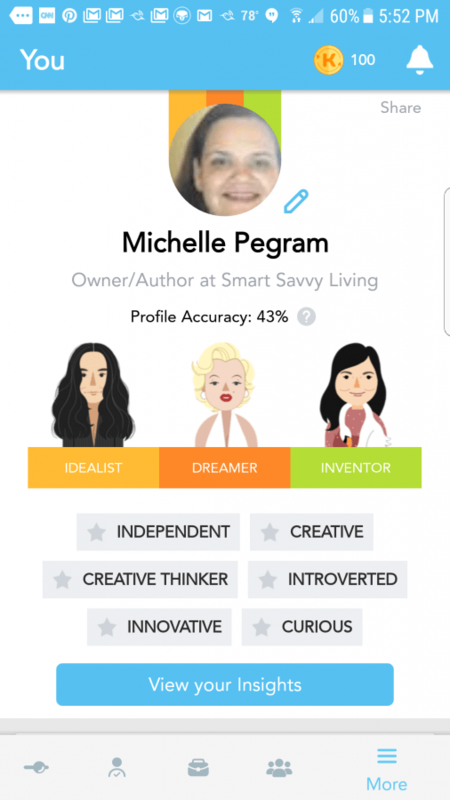 You can also discover insights into your own work style and your compatibility with other users and companies. The quizzes are short, fun, and actually really help you to stop and think about yourself. It was rather neat to take a moment and really think about what answer to choose from the person I’ve evolved into over the past 10 or so years instead of just quickly tapping things I identified with when I was just out of school. I was honestly rather surprised to see words like dreamer but after thinking about it I understood why and how I had been shying away from such qualities when I shouldn’t be. From there you can take other quizzes about the kind of coworker you are, what your networking strengths are and even what your spirit animal is. 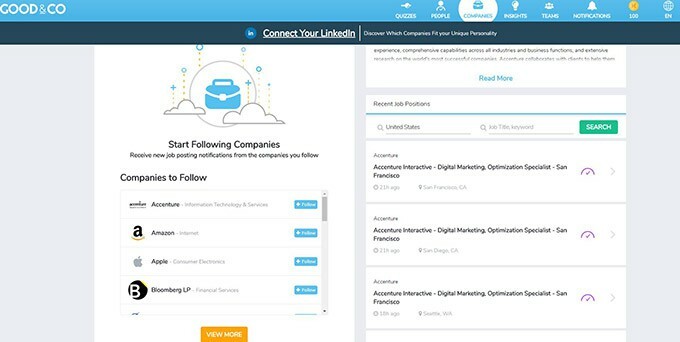 After you really zoom in on what your interests and strengths are the app then helps you find companies to follow so that you can get new job posting notifications that are a perfect fit for you. Do you love your current job? Is your career path the same as you thought it would be when you first started out?